NUVIZ, Inc. started shipping the first all-in-one head-up display designed for motorcycle riders. NUVIZ seamlessly brings together integrated navigation, camera, communication, and music in a single device, allowing riders to stay connected, but not distracted. 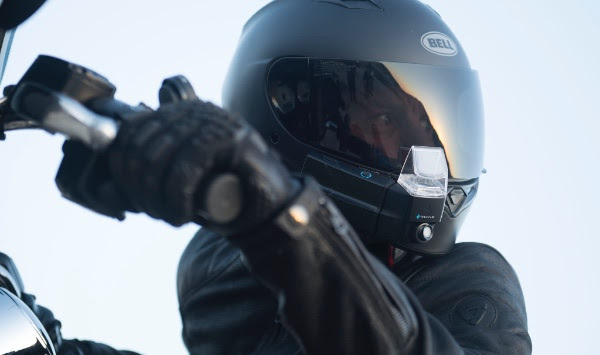 NUVIZ attaches to most full-face motorcycle helmets, displaying customizable information always accessible near the rider’s natural line of sight, allowing riders to keep their eyes on the road more. It includes a built-in HD action camera and a wireless handlebar controller that ensures intuitive control of all functions. Highly anticipated by motorcycle enthusiasts globally, the NUVIZ HUD is the first product of its kind to go to market and will debut in North America and Europe. “Bringing NUVIZ to market has been quite a ride. We accepted a big challenge in bringing this device to the market," said Malte Laass, co-founder, NUVIZ. "As enthusiasts ourselves, we wanted to design a solution that not only enhances and simplifies the riding experience, but lays a foundation for the forthcoming technology revolution that will affect riders. We are proud to deliver the NUVIZ Head-Up Display to motorcyclists across North America and Europe." 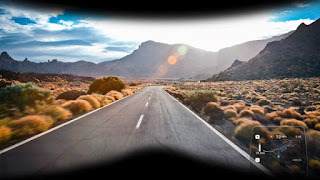 Head-Up Display – The patented NUVIZ HUD creates an image that "floats" in the rider’s line of sight giving them access to customizable information including driving conditions and maps. The LCOS micro display offers crisp and vibrant full color in all lighting conditions. Navigation – An included GPS function and included global offline maps allow riders to select routes and destinations with turn-by-turn instructions, zoom-able map views and more. Communication – The integrated headset and microphone allow riders to make and receive phone calls, and provide narration on videos. Future capabilities will enable rider-to-rider communication via Bluetooth. Music – NUVIZ riders can enjoy and select their favorite Spotify, Pandora, Apple Music, or Google Play riding playlists. NUVIZ App – The NUVIZ app for iOS and Android allows riders to plan routes and save favorite rides, access photos and view riding stats. Users can also share their rides, discover new routes, record ride data, and edit and upload photos instantly via social media. Additionally, the app allows for easy updates and the integration of new NUVIZ features as they are added. Controller – The intuitive “eyes on the road” controller directs the NUVIZ unit and features a design that makes for definitive button feel and activation with gloves on. 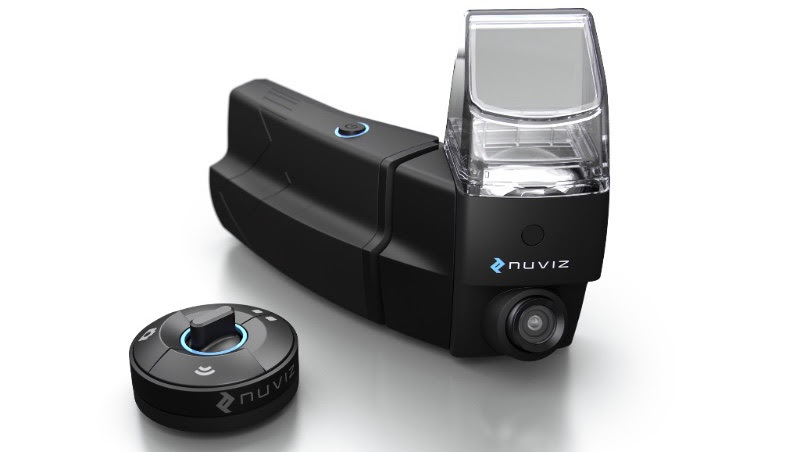 NUVIZ devices are currently shipping to customers, and retail for US$699 (including shipping), and is available direct-to-customer via the company’s online store. For more information, videos, features and images, visit www.rideNUVIZ.com. NUVIZ, Inc. is a privately owned technology company based in San Diego, California and Salo, Finland. NUVIZ is backed by a strategic investment from Pierer Industrie AG, the parent company behind KTM Industries, Husqvarna Motorcycles, WP Suspension and Pankl Racing Systems. Founded upon the desire to empower riders with technology that improves their riding experience, the core leadership team of visionaries has formed an industry-leading team within the digital and mobile space. Combining their passion for motorcycling and powersports, and with decades of technological prowess, NUVIZ is revolutionizing the riding experience. 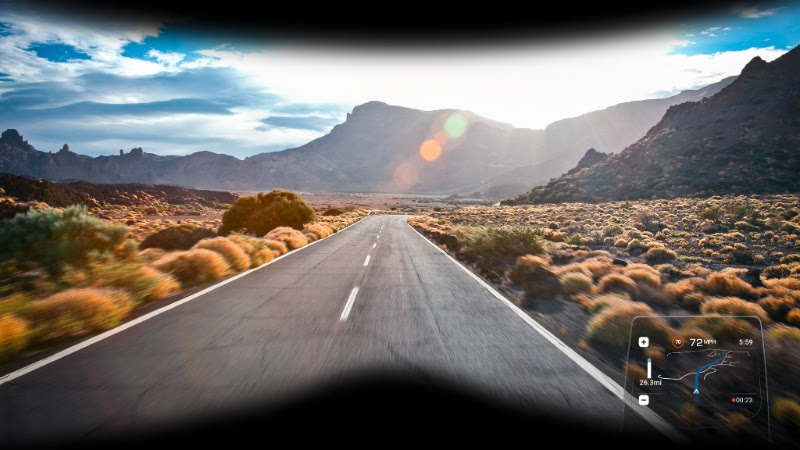 NUVIZ’s first product is an integrated Head-Up Display (HUD), designed specifically for the needs of motorcycle enthusiasts, and is the first product of this nature to go to market. To learn more about NUVIZ and its products, please visit www.rideNUVIZ.com.